If you’ve already passed your drivers exam, then there is a good chance that you already know at least about the bare basics of first aid and how to apply it. 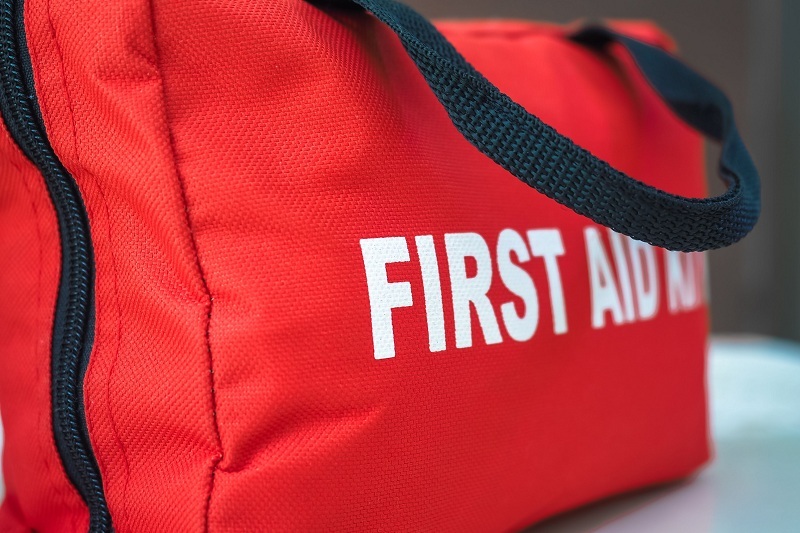 But even if you had gone through a course, there is a good to fair chance that you just know about things like the essential items that first aid kits usually contain. What they unfortunately forget to mention sometimes though, is that there are different kits for different situations and circumstances. While this may seem obvious, there will be people that believe that an outdoor kit or the first aid that you should have in your car is the same as the one that it is recommended you keep in your home. This is of course not true since the types of injuries that you might encounter on the side of the road are not the same as ones that you might inflict on yourself while in your living room. If you would like to get yourself a kit specialized for camping or for your car, they are really easy to find and will contain everything you might need. 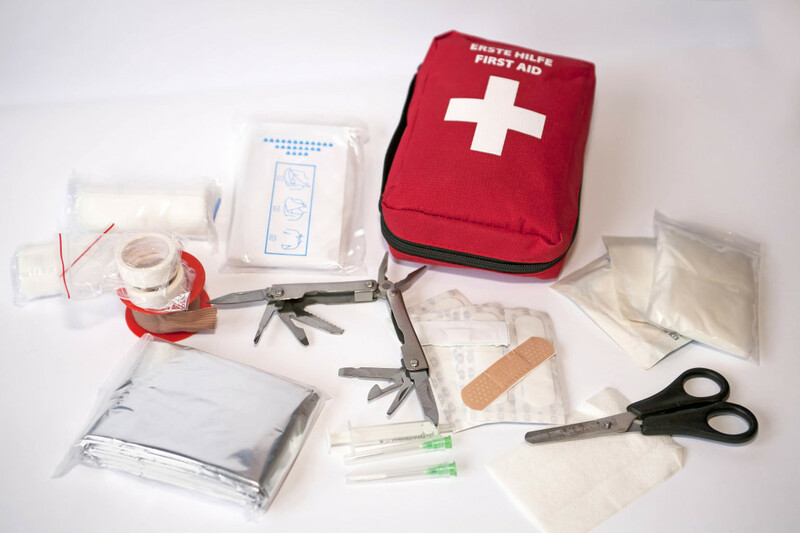 However, if you would like to make yourself an all purpose first aid kit bag that can be used in the largest possible number of situations possible, then there are only a few essentials that you will need. Firstly, what every first aid kit bag needs is a pair of scissors, a knife, some nail clippers or any other sharp object that you can easily hurt yourself with and use the bandages you already put in the kit (chuckles). But in all seriousness, you might want to consider getting a multi-tool since it won’t be taking up much space because it is so incredibly small, but it will still be vital to you thanks to its numerous applications. The many different tools, both sharp and not, can have a variety of useful applications in both an emergency situation and even in common everyday events. Next, you will want to get as many different pills, gels and lotions as you can get your hands on. Always remember to get the hypoallergenic variety of everything you are buying and restrict the pills to the variety that is more of a general aid to common ailments like headaches and nausea and not anything for specialized ailments. However, you should definitely stay prepared and always have a reserve supply of medication if you personally have any sort of condition that might require pharmaceuticals. But in most cases, the more common items such as sunscreen or aspirin will serve you much better in nearly every situation than say some specialized flue medication when you haven’t so much as sneezed. 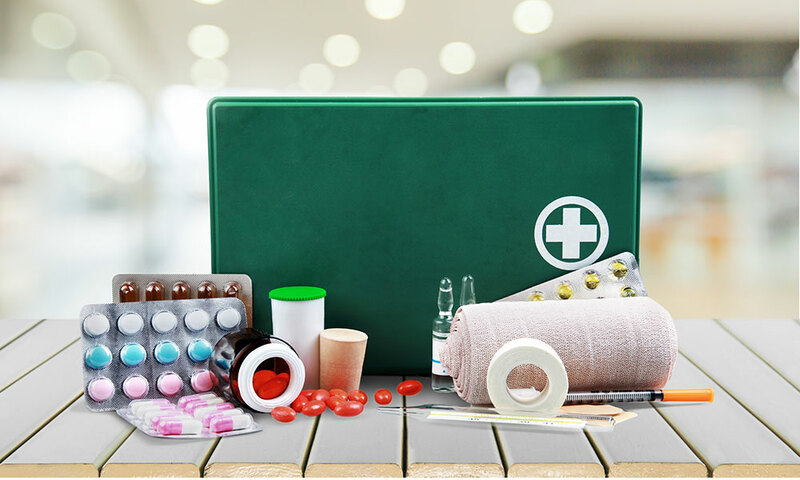 And finally, since there is a reason why items such as gauze, band-aid and cotton swabs are included in every type of first aid kit ever since the first first aid kit, it might be smart to make some room for them in yours as well. They are used for a variety of different injuries and can really help patch you up if you are talking about some sort of more minor injury. Anything else you might want to add will depend on the place where you plan to take or keep this aid kit and how important you judge the item in question to be.